One day, when my son was about 6 years old, we were driving down the road and stopped at a red light. Along the side of the road, there was a new building being built and I commented, “I wonder what they are building there”. My son answered me “Probably something we don’t need”. I had to chuckle at that and it really hit home at that exact moment that my kids learn from the things I do and say. Teaching kids about the environment is something we have to do every day by modeling sustainable behavior and explaining our choices to them in terms that they can understand. Keep reading for a few sustainable family activities as well as a few affiliate links for products that you may find helpful. As a small town girl moved to the big city, I am often appalled by the number of nail salons, dry cleaners, and dollar stores along every road in my town. Many times I have commented (obviously in front of my children!) that there is no way we need another store when we have too many strip malls already. Children learn what we as parents teach them and if there is any hope for the survival of this planet it has to come from our children. How can we teach them to care for the environment and be mindful of their carbon footprint if we as adults do not lead by example? 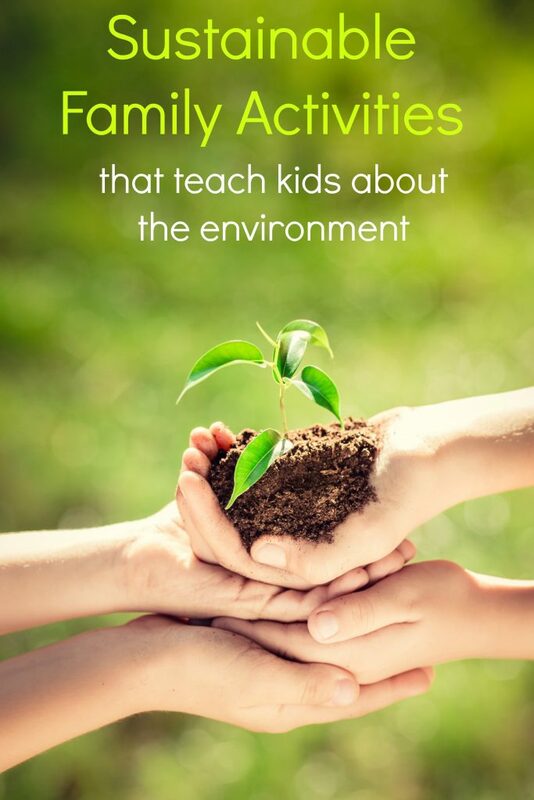 If you want to help raise a generation of Eco-conscious children, I hope you will read through these tips for teaching kids about the environment and begin practicing a few of them in your own home. Remember, making changes in your own lives helps ensure that your great grandchildren have a planet to call home in the future! Kids love nature and teaching kids about the environment is easy in an outdoor classroom. 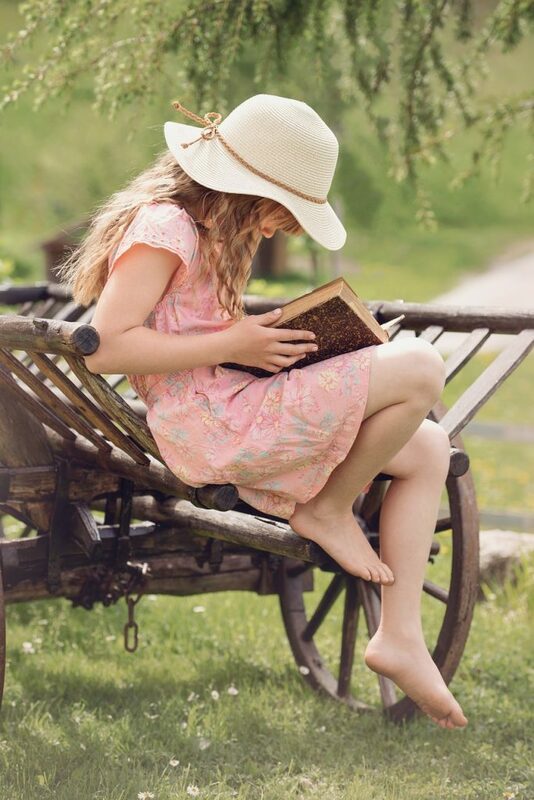 If your children are never outside learning to appreciate the beauty and frailty of nature, they will have no reason to protect it when they get older. 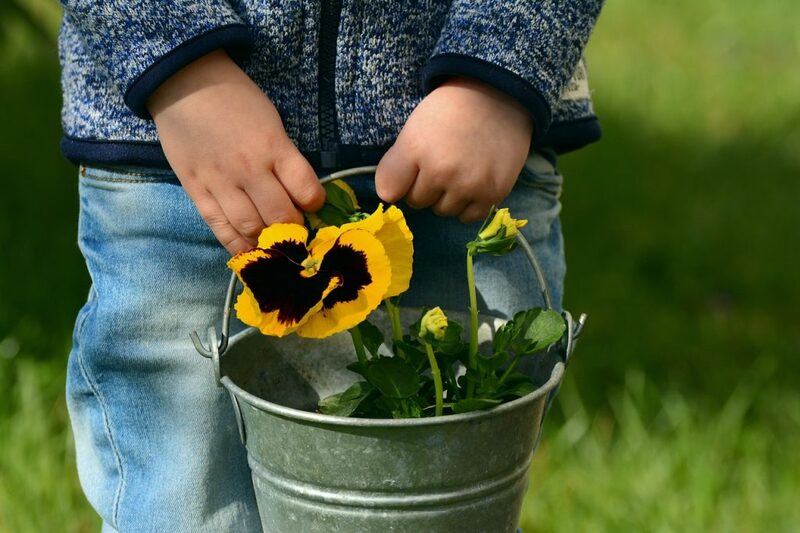 Teach your children about the types of flowers, trees, and animals that are living in your local area. Teach them how to find toads, frogs, and other small creatures. Bring a bird identification book and binoculars and try to identify the type of birds in your neighborhood. Get a pair of children’s binoculars for your kids. Collect leaves to study online and bring home rocks to look at with a magnifying glass. Encourage your children to explore nature and maybe this lifelong passion will create biologists with a passion for preserving nature when they get older! Kids will love to EXPLORE with their glow-in-the-dark, magnifying bug catcher from reCAP® Mason Jars. 2. Plant a garden with them. Teach your children about how our food is grown and let them explore the soil it grows in. Explain the importance of earthworms and honeybees. Start a worm farm. Get out a globe and show them how far away South Africa really is and suggest looking for food that is grown a little closer to home. Teaching children how our food system affects the environment is extremely important. Once you bring your harvest inside, make sure you get your kids into the kitchen to help you create dinner. Pick up a children’s cookbook and matching aprons. 3. Put your child in charge of recycling. Taking the recycling from the kitchen out to the recycle bin is an easy chore for small children. It will also start them on a life-long road to reducing their carbon footprint. Teaching children that we reuse, reduce and recycle as often as possible will help ensure that the future generation is a bit more conscious of how much stuff they are sending off to the landfills. Children love crafts and hands-on learning is often the most fun and the most memorable. 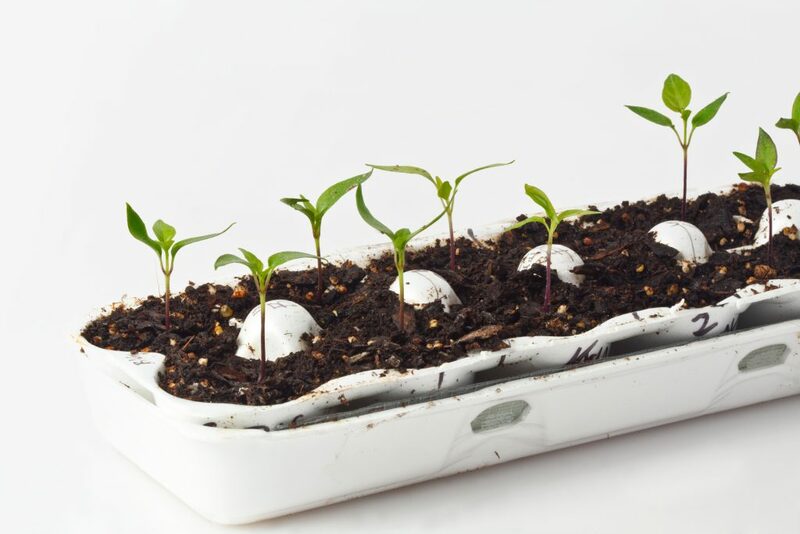 You can make seed balls to help beautify an empty lot or make a bird feeder out of an old tin can. Explain to your children the benefits of making something new from something old. Ask your child what sort of things they can think to do with an old yogurt container. You might be surprised what they come up with! We made yogurt cup bracelets out of a few of ours. 5. Choose media with an eco-friendly message! There are tons of books and movies nowadays that have a green theme to them. Encourage your child’s love of the environment by showing them how to reduce their carbon footprint in ways they will really understand. Children’s books, movies, and cartoons really catch their attention and choosing books and movies with a green message will help a lot in their understanding of environmental issues. Check out this collection of Earth Day books and eco-friendly crafts and get started! 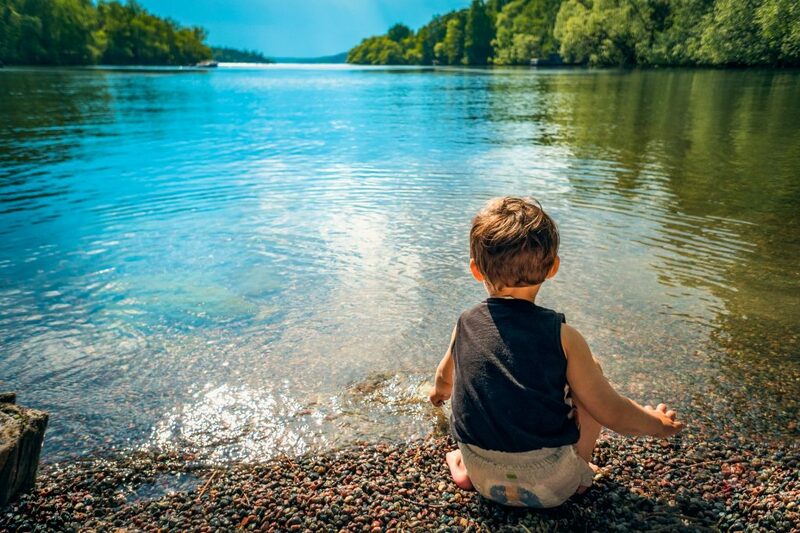 While it may seem like we have so many responsibilities as parents, it really is important that we make time for teaching kids about the environment. We have only been given ONE planet on which to live and it makes sense to take care of it the best we can! Do you have other tips for teaching kids about the environment? Please share! Great tips! 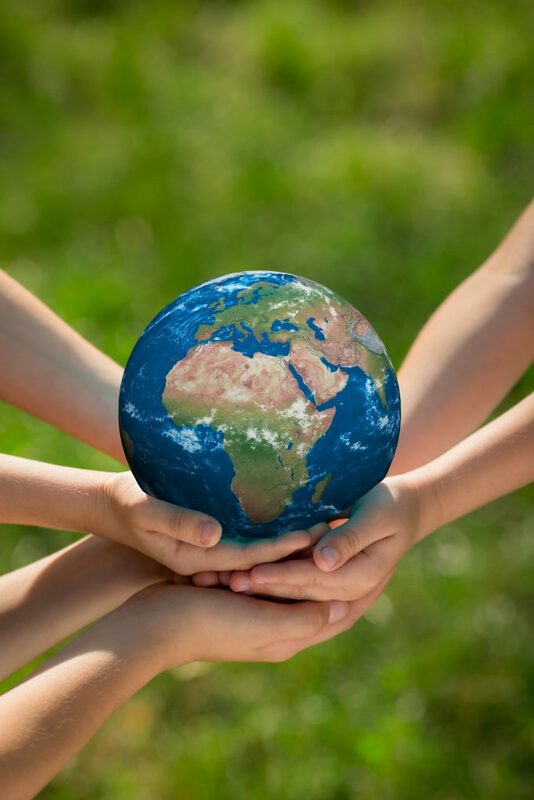 I agree it is so important to educate our children about the environment and the importance of taking care of it. I was proud to see that I have done all of the above with our son with the exception of number 3, but he is so good at seeking out recycling bins away from home. Other things we do: on Earth Day, my son and I go outside and pick up litter. This has carried over to whenever we are out walking or in the park if we see litter we pick it up. When we go on nature hikes, we take along a bag to pick up any litter that we see. This sometimes surprises other parents who are on the hike with us. Hopefully it rubs off on them. I love these suggestions. I totally agree books are a great way to reach children. My daughter brings her own cereal and spoon to school everyday and she is the only kid who does that she likes that she is special and helping the planet. They learn so young and never forget too.